Introducing the Total Line Wireless Thermostat! Introducing the Venstar Wireless Thermostat! 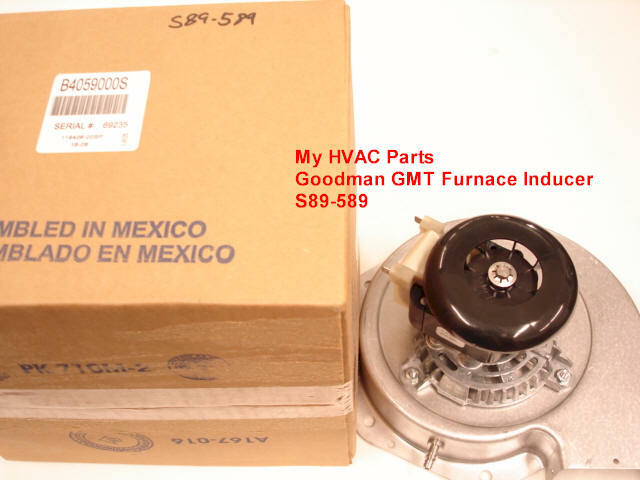 There were (2) different Inducers used on this series of Goodman Furnaces. The mounting holes are in different positions. One has an extra mounting tab and is slightly different in design. The other has no extra tab. Please read the information and compare the photos to what you have before ordering. Once you determine which one you need, please order at bottom of this page. These two Inducers are the only (2) used on all GMT Model numbers of all sizes. 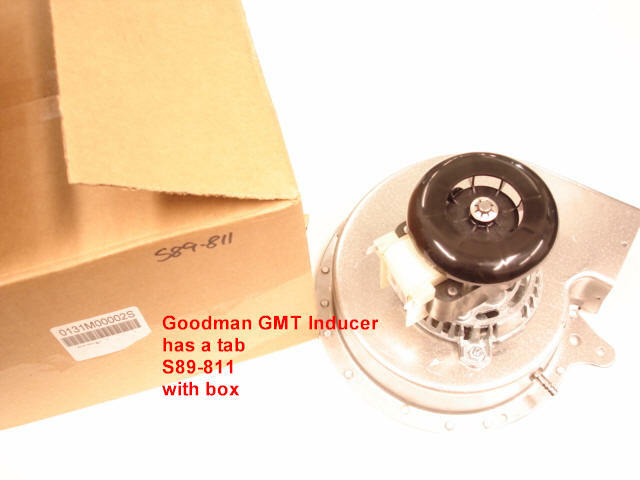 NOTE: Goodman has changed their motor manufacturer so the Inducer you receive may look different from what you have now. Please see the photo near the bottom of this page for their new motor design which they say will be quieter running. The one you receive will depend on how Goodman's stock of the old style holds up. 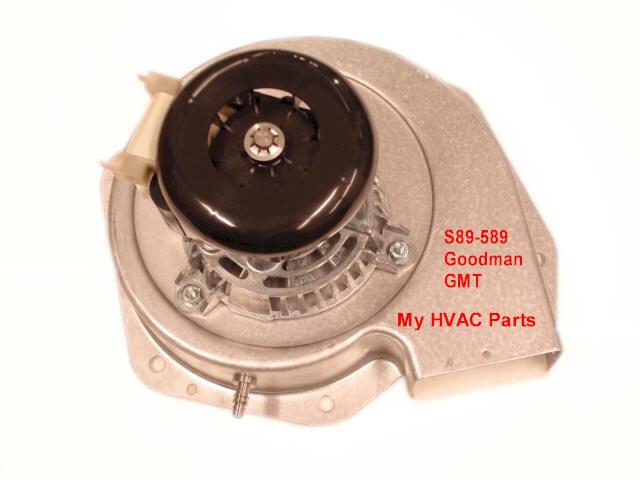 Also used in some GMT series furnaces, please check the photos of Goodman part numbers 0131M00002PS and B4059000S as they are different in that they have different mounting holes and one has an extra mounting tab. PLEASE NOTE: U.P.S. 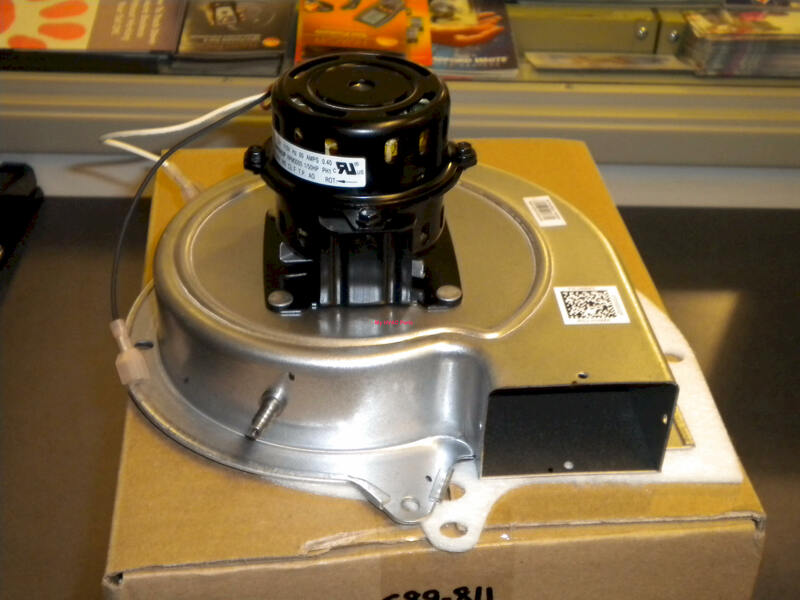 DOES NOT OPERATE ON THE WEEKEND, SO IF YOU ORDER A NEXT DAY AIR PART ON FRIDAY, YOU WILL NOT GET IT ON THE WEEKEND! WE CAN'T BE RESPONSIBLE FOR THE U.P.S. DELIVERY SCHEDULES. IF YOU NEED A PART FOR THE WEEKEND, PLEASE ORDER BY THURSDAY BEFORE NOON MOUNTAIN TIME. 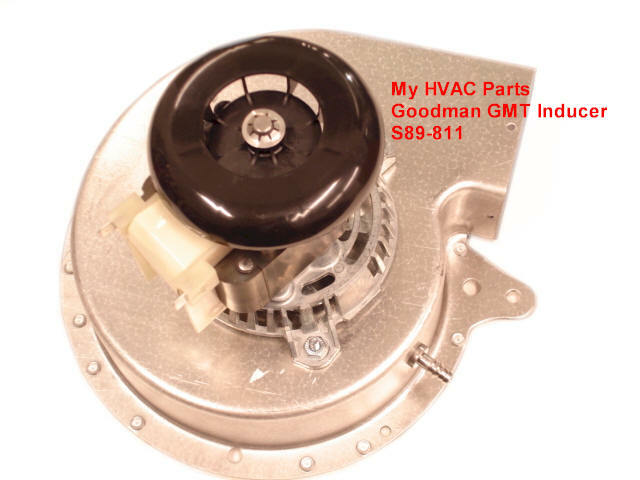 Copyright © 2011 MyHVACParts.com. All rights reserved.